This year marks the 75th anniversary of the BTO’s Nest Record Scheme (NRS). Officially started in 1939 the NRS is the longest-running scheme of its kind in the world, making it home to an invaluable long-term dataset of 1,660,000 nest records, collected by over 4,000 volunteers past and present. an invaluable dataset that has been used for scientific study far beyond the scope of the original inquiry. The survey we have today is a product of the BTO’s unwavering commitment to citizen science and the dedication of more than 4,000 volunteers who have participated through the years. 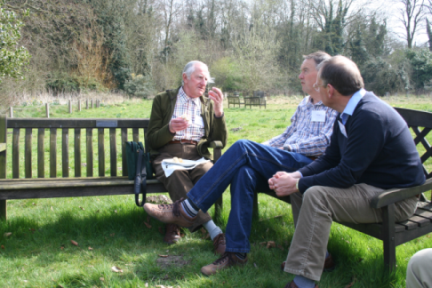 The talks were kicked of appropriately by the Scheme's longest-serving volunteer, David Warden, who took us on a tour of the amazing 65 years he has spent collecting data on nesting birds for BTO. We then heard from David Norman, chairman of Merseyside Ringing Group, on how a long-running volunteer group that has submitted an astonishing 25,000 nest records to BTO was founded and is still going strong. Following these two retrospective talks, volunteers Tony Davis and John Eyre gave us a glimpse into the fascination of project-based nest recording, with talks on their ongoing studies of local Wood Warbler and Woodlark populations, using colour-ringing and nest cameras respectively. Switching the focus to training the next generation of nest recorders, expert nest finder and author of a Field Guide to Monitoring Nests, Richard Castell gave a talk on the last six years he has spent running summer NRS training courses. 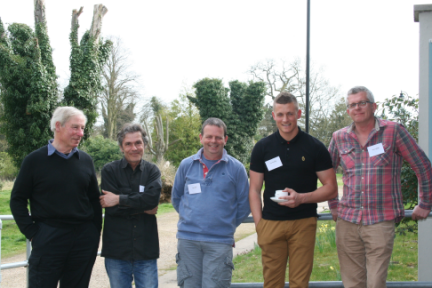 Cornwall-based NRS mentor Mark Lawrence and trainee Josh Marshall then gave a special talk to mark the official launch of NRS mentoring, which led into a discussion about the future of the Scheme and nest recording in general. 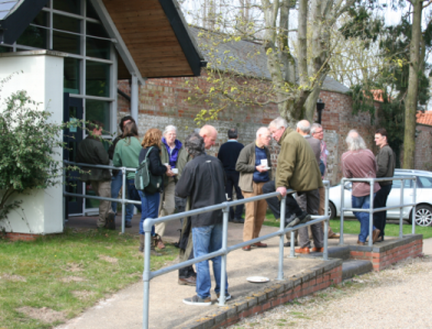 It was thrilling to see like-minded ornithologists from all over the country meeting up to talk about nest recording. It's thanks to the volunteers that this scheme has been so successful. 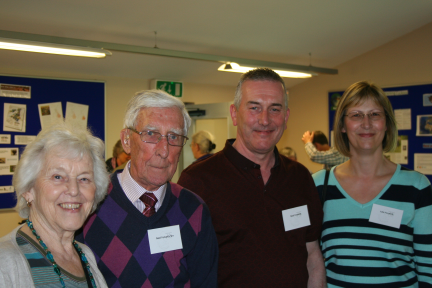 Over the 75 years many volunteers have put in many thousands of hours in to collecting records and other vital volunteering activities such as running training courses, mentoring and volunteer inputting. To celebrate and highlight the extraordinary efforts of all of our volunteers we held a special awards ceremony where we gave out some special 75 years of nest recording tankards. Thank you to eveyone who attended the event to celebrate 75 years of nest recording. See below a selection of photos taken on the day. The event was well attended and we felt there was a great atmosphere on the day. Thank you to everyone who came along and helped to make the event so special.